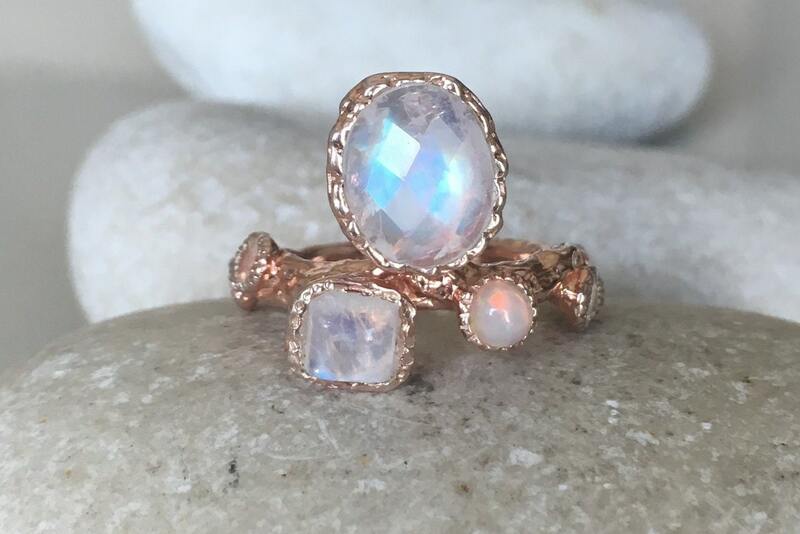 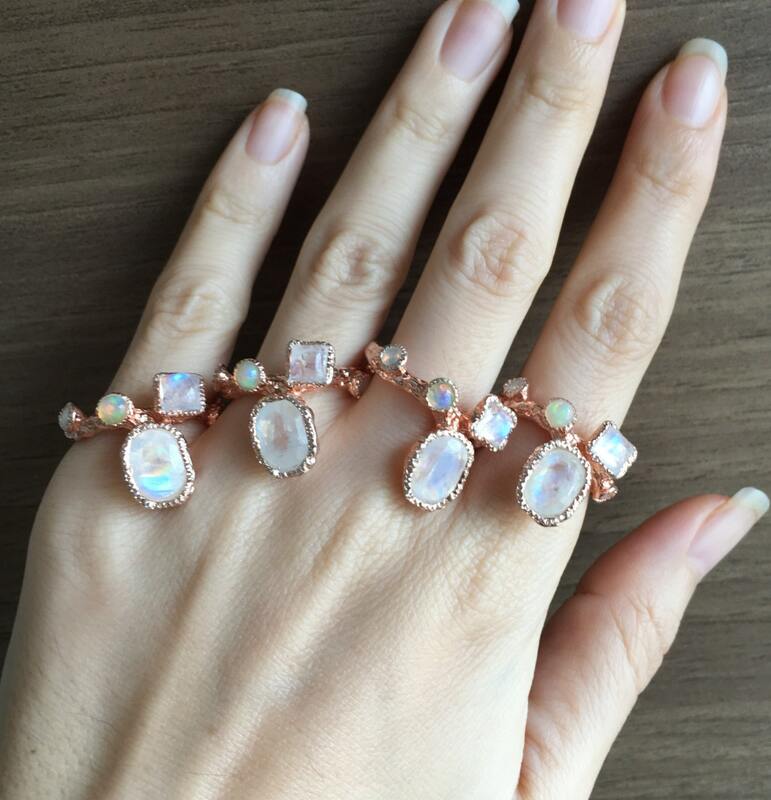 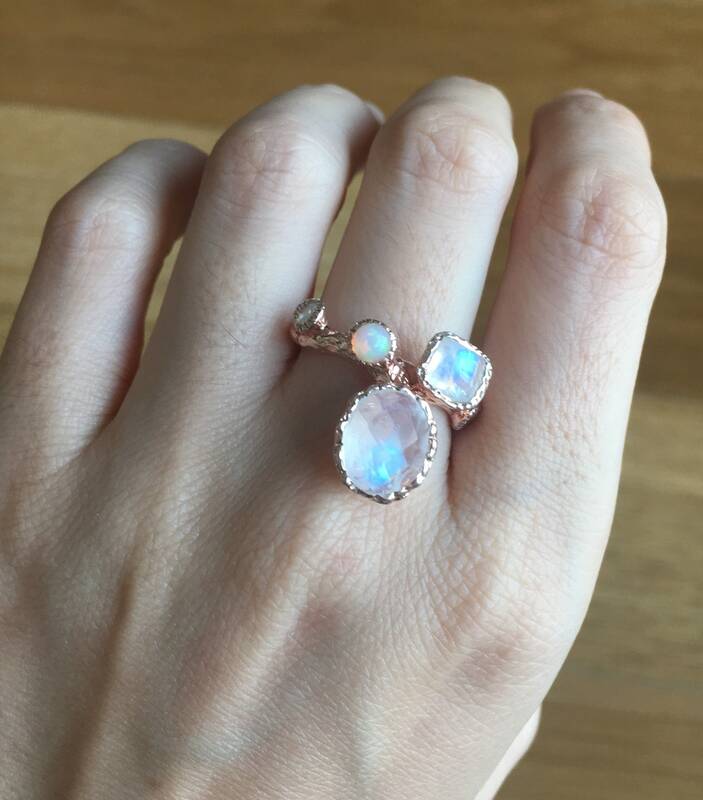 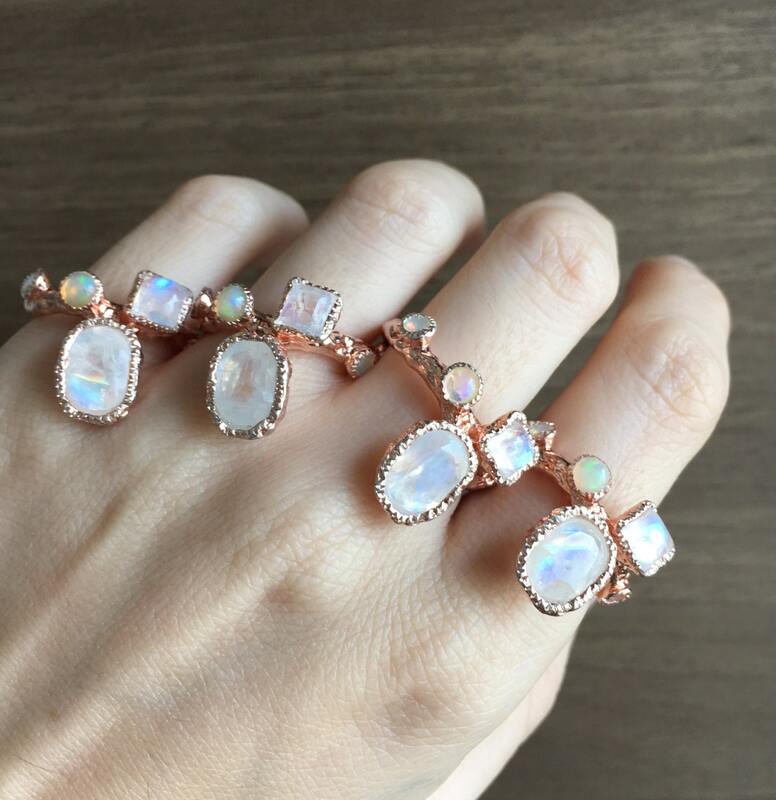 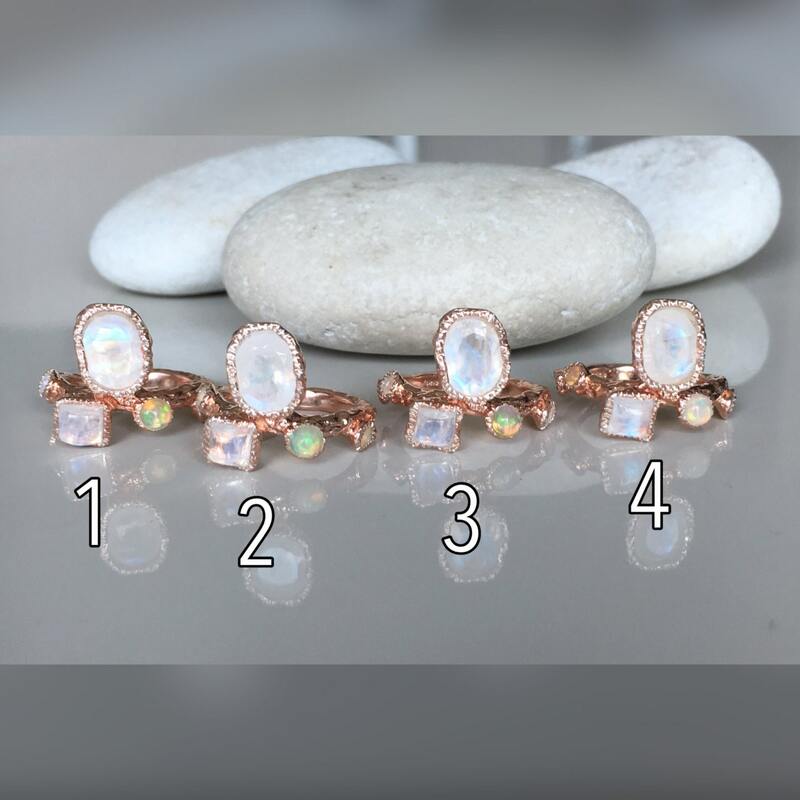 Please handle your opal/moonstone ring with great care as they rank 6 on Mohs hardness scale meaning they are a soft and fragile gemstones. 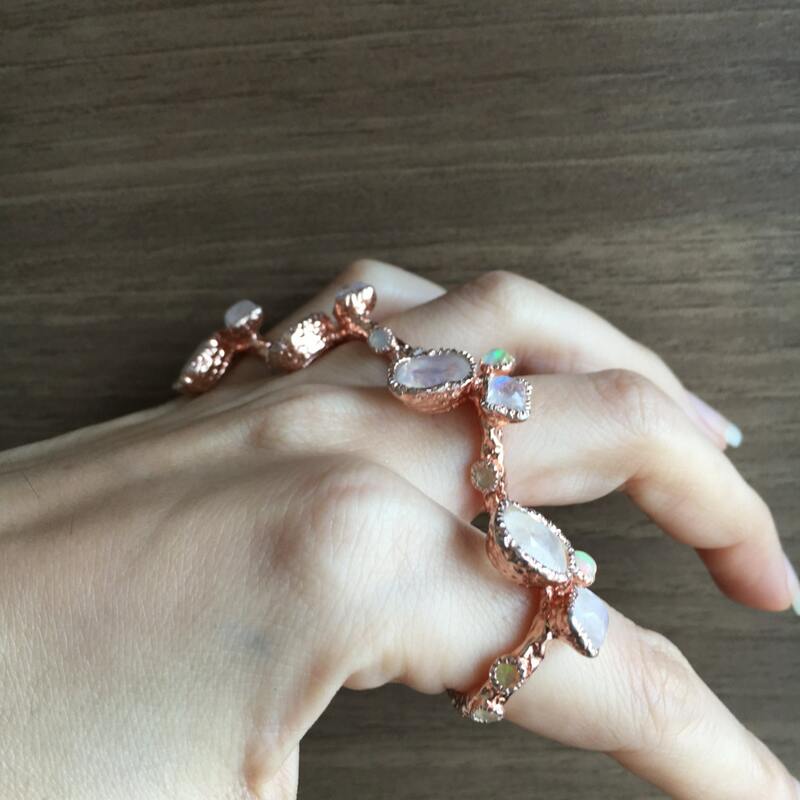 Avoid immersing in water or washing the dishes with the ring on and take it off during strenuous activities. 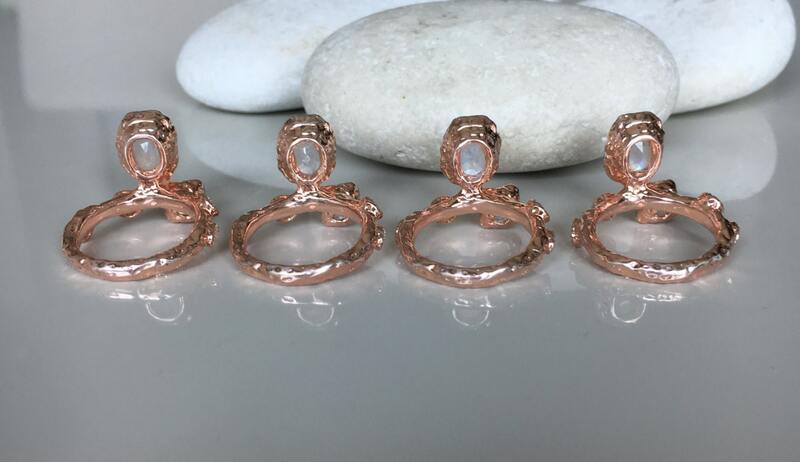 --->Please note that since it is Rose Plated over Sterling Silver, we provide a careful instruction on how to keep your jewelry clean as well as keeping your plating long lasting.